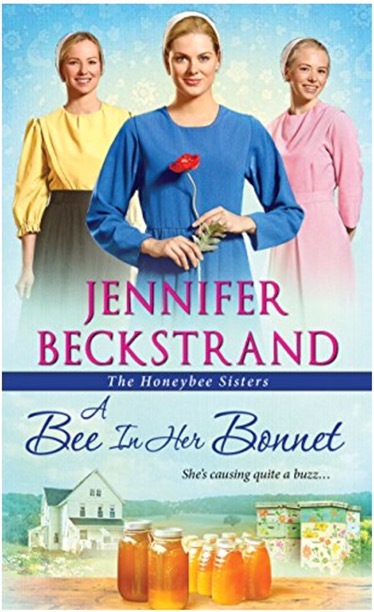 Book two in The Honeybee Sisters series is a fun read! Poppy has always been headstrong, hard-working, and no-nonsense. She displays a tough exterior that hides any emotion that men might construe as weak. So heaven help Luke when he puts his foot in his mouth, being chauvinistic without even realizing it. Poppy wishes Luke would stop trying to “rescue” her … and when he finally looks at her as an equal, it changes everything. I adore Beckstrand’s Amish tales. They are well-written, entertaining, and often educational for this Englischer! Beckstrand writes Poppy’s beautiful story with heart and authenticity. I appreciate the relationships she has with her sisters and aunt… and Luke. The best part about getting to know Poppy was watching her realize that asking for help isn’t a sign of weakness, and that accepting help is sometimes the best way to start a new friendship. In this well-written romance the male lead seems to be the center of the story in the beginning … which makes sense, because the heroine has felt invisible for so long. Ben sees Jessica at a wedding and gives her a shoulder to cry on. Jessica melts inside, but maintains a cool facade – something she’s had to learn to do to deal with family problems. But as Ben continues to show Jessica he cares, a little bit of trust builds, and the possibility of healing and happiness comes to the forefront. Whether the timing is right or the friendship will be enough is another story. I’m a frequent reader of light and easy romances, so even though Strom is new to me, this book was right up my alley. I was pleasantly surprised to see so much focus on Ben at the beginning. It totally worked. As Jessica opened up, so the story began to center more on her. My absolute favorite parts of this book were Strom’s use of fancy vocabulary… not so much that it stopped me in my tracks, not so fancy that I had to look up anything, but intelligent use of precise words that many wouldn’t expect in a “fluffy” romance. This book pulled me in so hard that I was all of a sudden at 81% after midnight… and stayed up to finish it without hesitation! I was impressed with the characters, the story, and the writing, and now I need to click on some more Abigail Strom for my kindle. P.S. There’s a happily ever after for more than one couple in this book! 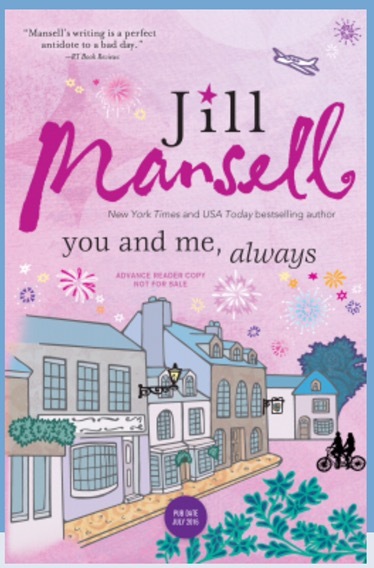 Another fun yet substantial read by Jill Mansell! From a letter she reads on her 25th birthday, Lily finds out about some important people from her past. While she decides how much time and effort to spend finding them, she is supported by longtime friend Dan and his sister, as well as her foster mom who owns a vintage shop. Lily also gets to meet a famous star… fall into Like… and live a jet setting lifestyle for as long as. I enjoyed every character in this book, even the one villain – maybe because he wasn’t given too much space on the page. Haha! Lily was such a kindhearted soul that each personal relationship she had was meaningful and poignant. In our recent times of uncertainty and violence, I appreciated this book heavy on the niceness. My favorite part was the unrequited love moving along with perfect timing. More than one character found true love and a happily ever after… That’s my kind of book. This was a pretty entertaining read. Though it’s the eleventh in a series, I had no trouble keeping track of characters and their occupations, good guys vs bad guys, and the relationships among them all. 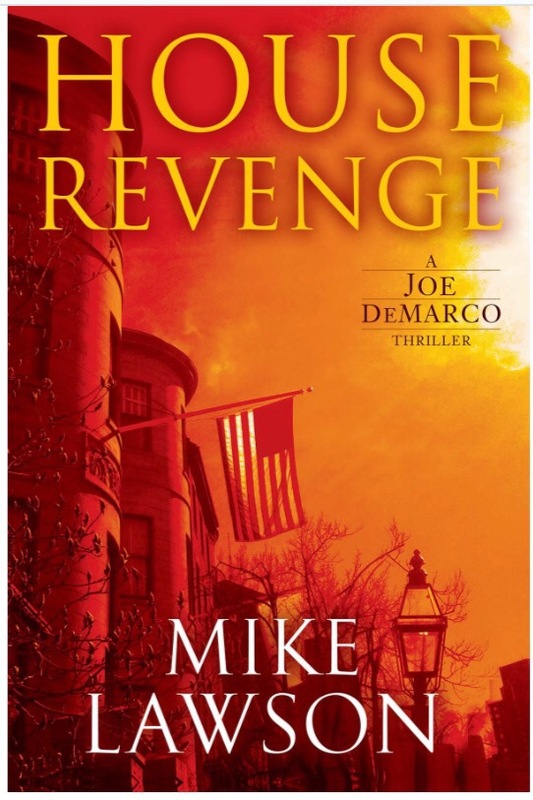 House Revenge takes the reader through Boston politics, from commercial land development to dirty congressmen to cops on the take to connections with Mexican drug cartels, all through the eyes of Joe DeMarco. Joe is a right hand man taking direction from politicians, but trouble arises when he doesn’t think through his approach. In House Revenge, at the request of those more powerful than he, Joe tries to help an old lady stay in her apartment. Her building is getting torn down to make way for bigger and better – and more profitable – enterprises. Joe doesn’t intend to get too involved, but we all know where the path of good intentions leads. By the middle of the book, Joe is halfway there. I liked the peek into DC and Boston politics, the interactions with Boston Police, and the local references. Though some of Joe’s “solutions” seemed pretty far-fetched, I’ve got to give him credit for getting as far as he did in a world where one hand washes the other, and quid pro quo is the status quo. Tagged Book Review, boston, Calliope, congress, drug cartel, house revenge, joe demarco, july 2016, mafia, mike lawson, politics, property development, Random Book Muses, washington d.c. I am addicted to these Fox and O’Hare novels. Federal agent O’Hare and genius criminal/informant Fox work together to catch super bad guys across the globe. Working so closely together, they’ve managed to peek into each other’s personal lives… and even fall in Like. The Pursuit gives the reader a double whammy. The pair finish a case in the beginning chapters and quickly land a new case… One they can’t even put on the books. One that sends them to Belgium and the Paris underground. It’s a con. Maybe the biggest con they’ve ever pulled. And their lives depend on them making zero mistakes. 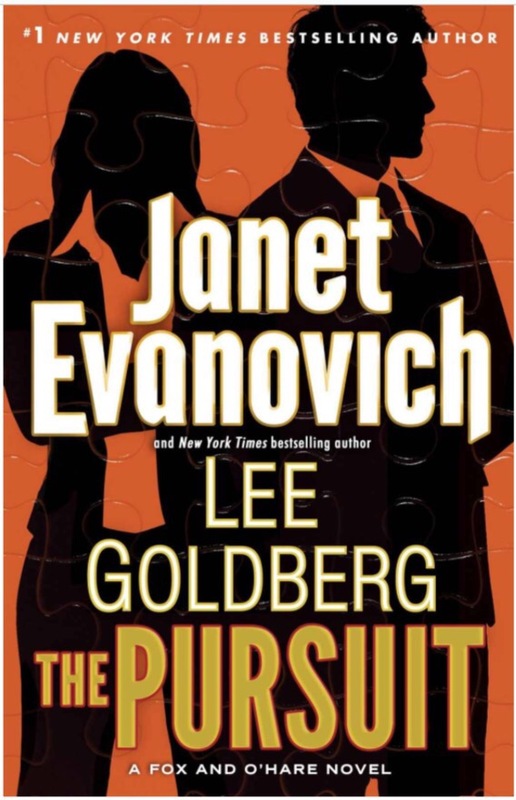 Part comedy, part MacGyver, and part Ocean’s Eleven, The Pursuit is the perfect light read to get me laughing and holding tight to the edge of my seat in the same chapter. I’ll read them as fast as Goldberg and Evanovich can write them.